Very few people plan on becoming disabled. However, 14% of Texans and 20% of all Americans suffer from some level of disability. If you have been active in the workforce, but have become disabled to the point of being incapable of work, you might be eligible for Social Security Disability Income or Long Term Disability Benefits. Many are eligible for both, but the similarities and differences between the two benefit options can be hard to get straight. Here are the basics for both types of disability assistance. 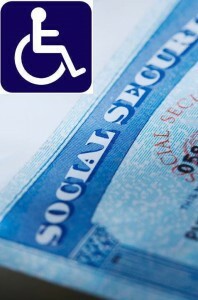 – Public disability benefit tied to your Social Security benefits. – Administered and governed by the Social Security Administration, a Federal entity. – Available to any resident with a social security number who has at least 20 work credits with the Social Security system in the 10 years preceding the qualifying event. – Benefit amount is based on previous contributions. – You can receive benefits if you have a disability which has lasted, or is expected to last, 12 months or more. – Once awarded SSDI, you are paid retroactively for the time period since your sixth month of disability. However, back pay is retroactive for no more than 12 months prior to your filing date, so don’t wait to file. – Benefit amount is unaffected by private disability benefits, but is affected by any other public disability payouts, such as Workers’ Compensation. You cannot receive an amount equal to more than 80% of your salary at the time of qualifying incident. – You may be able to work and earn limited amounts and still receive SSDI. – Private disability insurance provided through an individual or group policy, oftentimes as an employer-provided benefit. – Administered by a private insurance company or administrator and governed by ERISA laws issued by the Federal Government. – Benefit amount is typically 50% to 70% of your salary when you were last able to work. – Most policies contain an elimination period that must be met before benefits are payable. These elimination periods typically vary from 30 to 180 days. – Benefit amount is often reduced by other disability benefits, including SSDI. If you have been receiving LTD benefits and are awarded SSDI (including retroactive back-pay), your LTD provider will likely decrease your monthly benefit by the amount of your SSDI benefit. It will also likely request overpayment reimbursement for the retroactive time period (effectively capping your total disability benefit amount to the maximum provided by your policy). – Some policies provide benefits for partial disability allowing limited work. 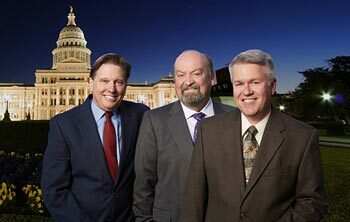 If you live in Dallas, Houston, San Antonio, Austin, or anywhere across Texas and have applied for either SSDI or LTD benefits but have been denied, contact lawyers Lloyd Bemis, Lonnie Roach, or Greg Reed of Bemis, Roach & Reed. 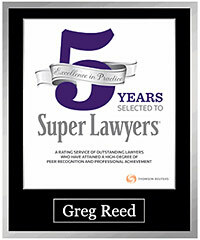 We can take the lead on your appeal process and increase your chances of getting the benefits you deserve.